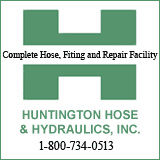 Huntington, W. Va. – Junior guard Jon Elmore’s line of 20 points, 10 assists and 10 rebounds helped him lead the Herd past longtime rival Ohio in overtime, 99-96, Saturday evening at the Cam Henderson Center. With the win, the Herd improved to 8-3 overall and 7-0 at the Henderson Center. With the loss, Ohio fell to 5-5. Elmore became the first Herd player to post a triple-double since DeAndre Kane did so in 2012. Junior forward Ajdin Penava had career-highs with 33 points and 15 rebounds, which earned him his seventh double-double of the season. On defense, his nine blocks tied a career-high as well. Penava shot 10-of-13 from the field and 3-of-4 from beyond the arc. Junior guard C.J. Burks scored 31 points and made three shots from behind the arc and shot 4-of-6 from the free throw line. In addition to his triple-double, Jon Elmore has scored at least 20 points in seven consecutive games. 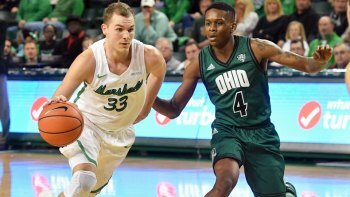 Marshall played solid offense in the first half as it outscored Ohio 46-37, shooting 16-of-31 (51.6 percent) from the field and 7-of-10 (70 percent) from the free throw line. In the second half, though, Ohio outscored Marshall 53-44, as Kevin Mickle’s last second layup tied the game at 90 and sent it to overtime. In regulation, Marshall shot 48.4 percent (31-of-64) from the field, and a season-best 27-of-31 (87.1 percent) from the line. In overtime, the Herd continued its stellar work at the line, shooting 83.3 percent (5-of-6). Elmore, Penava and Burks helped Marshall outscore Ohio 9-6 in the five minute period, giving it the three point advantage and extending its home win streak to eight games. This is Marshall’s second overtime win of the season, as the Herd defeated UT Martin in overtime on Nov. 10 at the Henderson Center. The Herd will travel to Cincinnati on Tuesday to take on No. 10 ranked Xavier. Game time is set for 6:30 p.m.